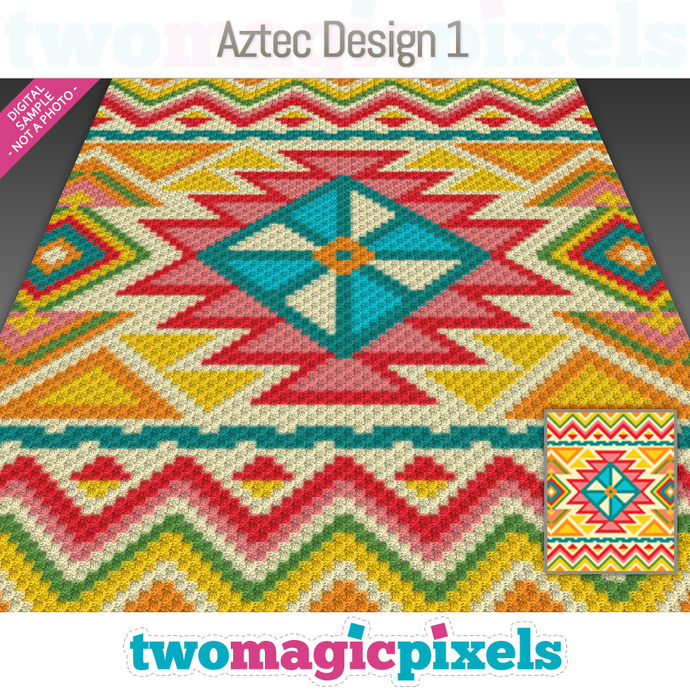 Aztec Design 1 is a digital graph that can be used for various crochet techniques, such as C2C, Mini C2C, SC, HDC, DC, TSS, Bobble Stitch. 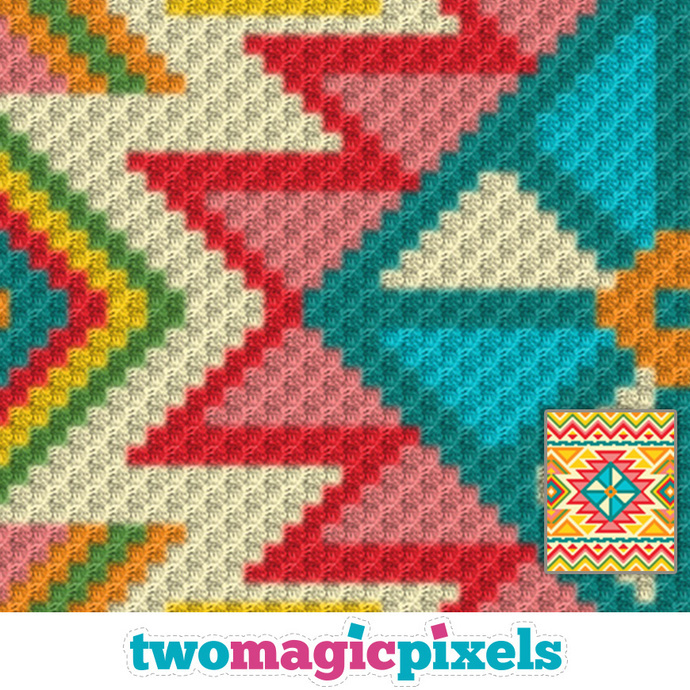 Alternatively, you can use this product for cross stitch, knitting, hama beads, plastic canvas and other projects. 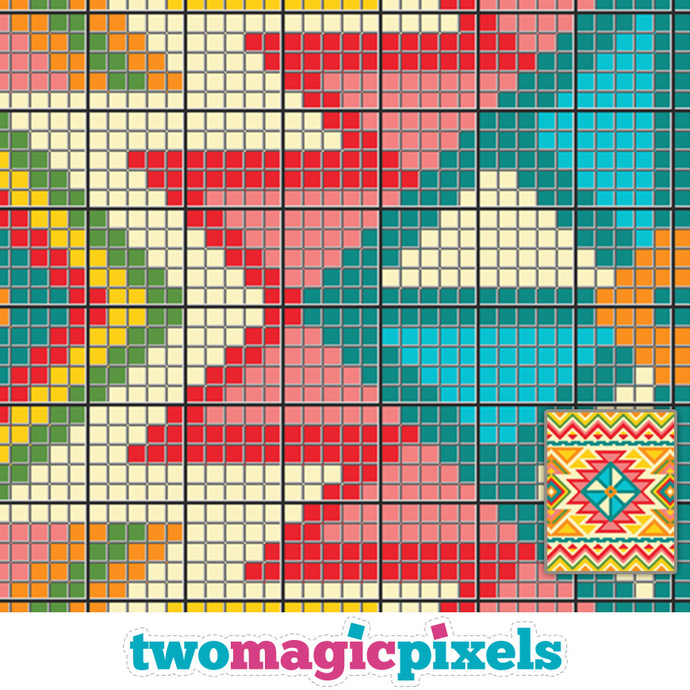 The graph is 80 squares wide by 100 squares high and has 8 colors.